Home / Unlabelled / Davido tells his fan to shut up. 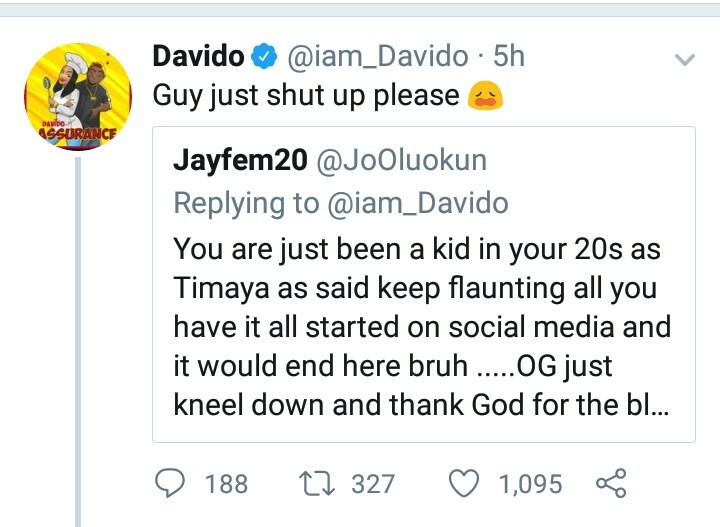 Davido tells his fan to shut up. The 'fia' crooner, Davido reacted to a fan who told him he ( Davido) behaves like a baby in his 20's flaunting his wealth all over social media and warned it would end all on the platform just as it started there. He also 'advised' the 26 years old songwriter to give all glory to God instead of boasting of his riches.